Ty Morgan grew up in Phoenix, Arizona. After graduating college, he started working in a residential treatment center for substance abuse and serious mental illness. He helped drug users reclaim their sobriety and adopt coping skills for their mental illness. 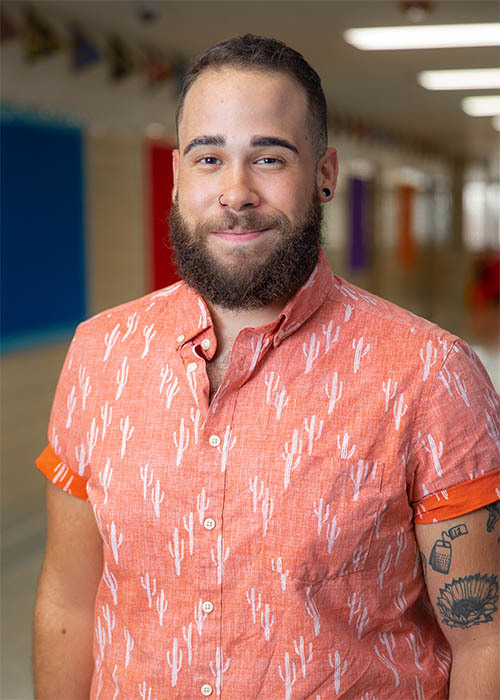 In 2016, he began his career in education when he joined Teacher for America and was placed at Tulsa Honor Academy. He finished his corps commitment but loved the school so much that he decided to stay on for a third year. Mr. Morgan graduated in 2015 from The University of Arizona with a BA in Psychology with a minor in Special Education. #BearDown He is currently attending The University of Oklahoma to earn his master's in Education Administration.